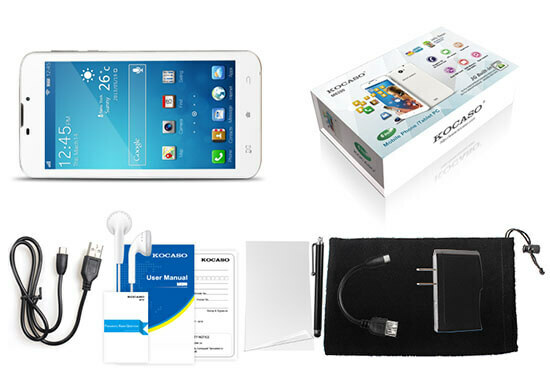 Quad-Core CPU Up to 1.2GHz, 6 inch High Resolution IPS Screen , Dual-Camera Front Facing 2.0MP and Rear Facing 5.0MP, Support 2G/3G phone call(Dual SIM Card standby), Built-in Microphone, High Capacity Li-ion Battery,1GB DDR3 RAM, 8GB Memory, Plus TF card slot (Up to 32GB), 4 way G-Sensor, Bluetooth4.0, GPS, Support external 2G/3G module dongle and More!! 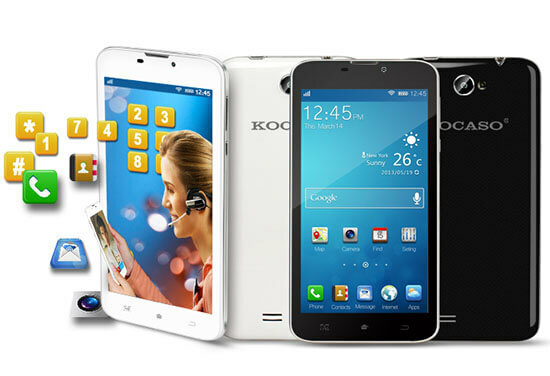 KOCASO M6200, Quad-Core CPU Up to 1.2GHz, Android 4.2, TF card slot (Up to 32GB), Capacitive IPS screen and more. 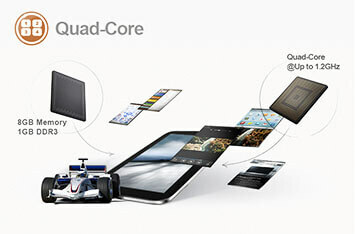 Fast Quad-core processor opens up programs and webpages seamlessly. 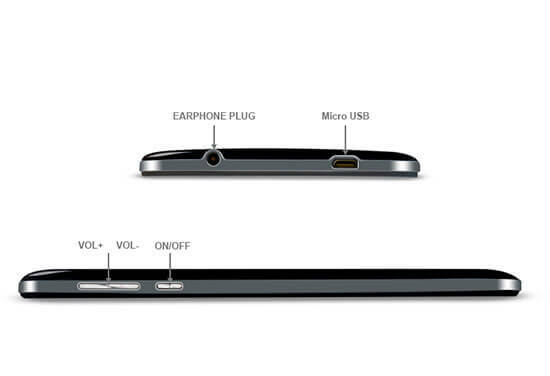 TF card slot gives you the freedom to add even more storage or transfer music and pictures. 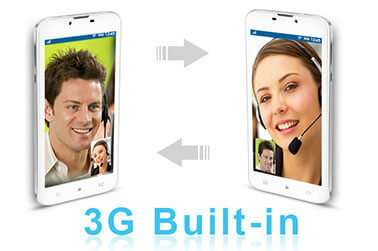 Androids 4.2 allows for easy multitasking and customizable home-screens. 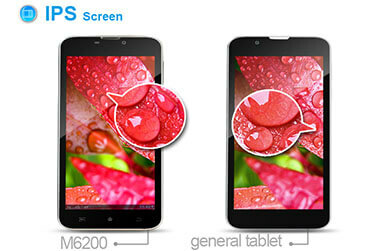 Compared with general tablet screen, IPS screen technology is more advanced. 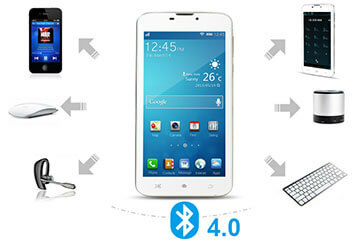 Sensitive touch, accurate positioning, whether it is playing games or other applications, you will feel handy. 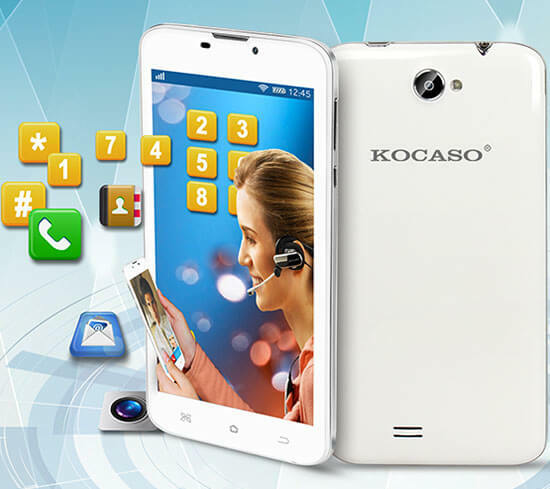 KOCASO M6200 supports 2G/3G phone call, features Dual SIM card slot, M6200 has high resolution dual camera which you can easily to use to take a picture or video and also supports video chat.